The Seasonal Health Intervention Network (SHINE) is a fuel poverty referral network and free energy advice service for Londoners. SHINE London offers a dedicated helpline and affordable warmth interventions to ensure households get the help they need to reduce utility bills, tackle energy debt and ultimately stay well and warm. SHINE is a single point of referral bringing together dozens of schemes to support anyone living in a London borough who is struggling to heat their home. Who can I refer to SHINE London? To make a referral for yourself or a service user, click on the ‘Referrals’ tab at the top of the page to use our online referral form or contact the SHINE hub on 0300 555 0195 / CONTACT@SHINE-LONDON.ORG.UK. The SHINE hub is operated by trained Energy Advisors who provide advice on energy saving, billing and metering, heating systems and controls. All callers undergo a SHINE assessment to see what services they would be eligible for. The Energy Doctor can review energy bills, check heating controls, contact suppliers and fit energy efficient measures. 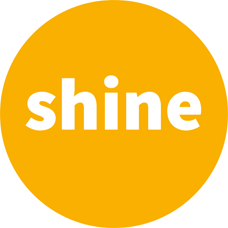 The SHINE hub offer support to clients in arrears with their gas or electricity supplier. Fuel poverty is the inability to keep warm in your own home.